Welcome to the Waterford Market. 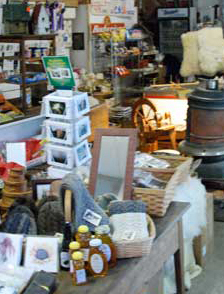 This small market provides locally grown lamb, hand made woolen products, and local crafts as well as groceries. Located in historic Waterford, Virginia, the market is a convenient stop our your tour of Loudoun County. All products use undyed wool. Naturally raised on my sustainable Loudoun farm, our lamb products contain no antibiotics or hormones.